Lindefors glassworks closed 1931 and was opened again 1933 as Strömberghyttan. 1929 - 1931 Knut Bergqvist worked att Lindefors. 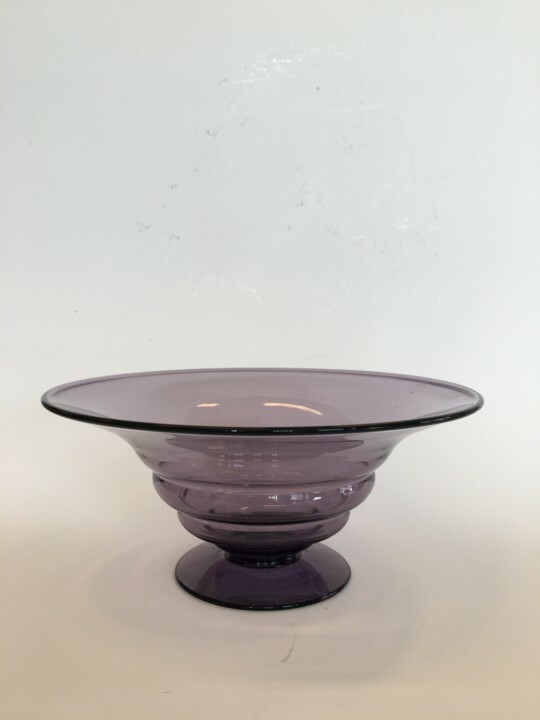 This slightly purple bowl vas made by Knut Bergqvist during this time. Very rare object in perfect condition.